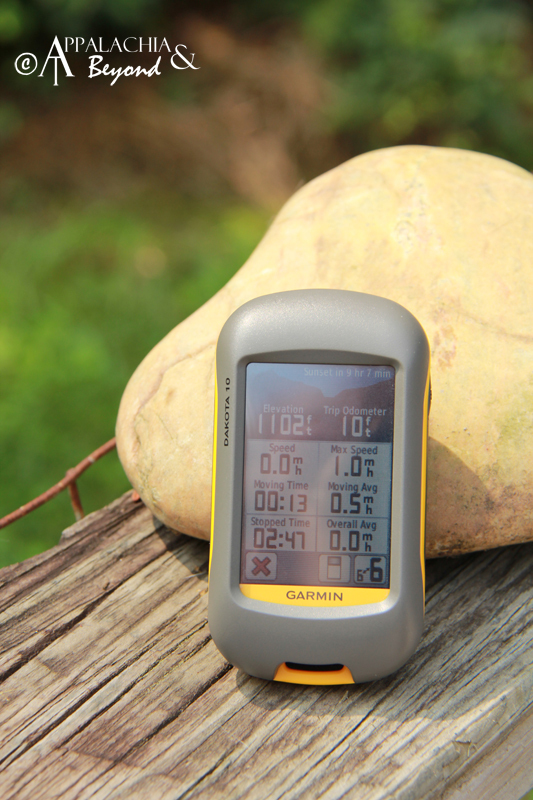 Last week and over the weekend during our camping trip, I had the opportunity to review Garmin's Dakota 10 GPS unit. A few weeks back I had entered a GPS giveaway at Take A Hike GPS, and in so doing let them know of my tweet for an extra entry. In return, I got a response back from Kevin, stating that he liked our blog and told us that he lets bloggers "Borrow" units for review. I couldn't possibly pass up this opportunity. So I went through the necessary steps that Kevin outlined for me to get a unit to review. As a side note for those that haven't heard of Take A Hike GPS, they sell and even rent GPS units to hikers, travelers, etc. If you don't quite know which unit you want, then it is possible to rent a unit for relatively cheap just to give it a test drive if you will. They have units from the likes of Garmin, Delhorme, Magellan, and more. 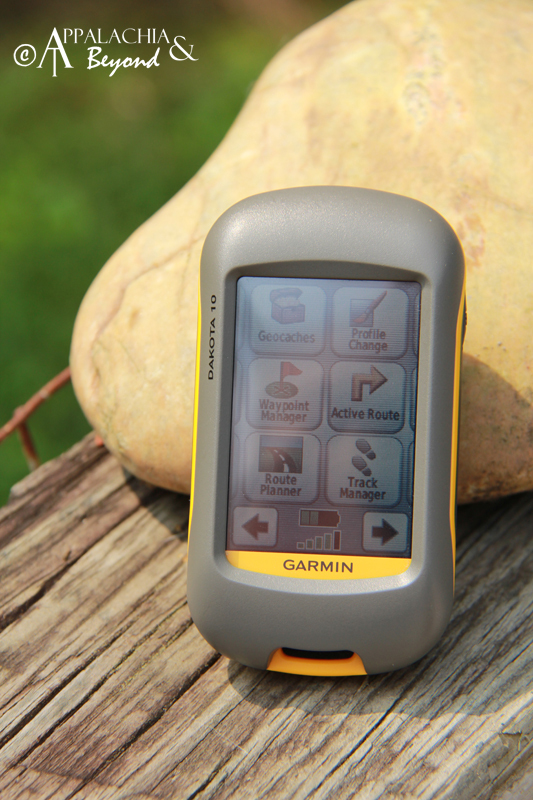 So if you are in the market for a GPS unit, definitely check out Take A Hike GPS. So back to the review. 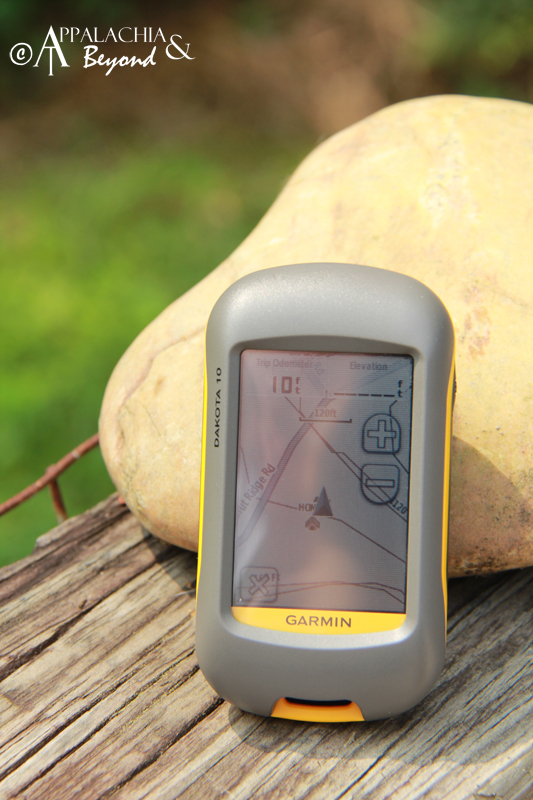 I settled on the Garmin Dakota 10 to review for the week. After following Kevin's instructions, I received the GPS in the mail a day earlier than expected. Right off the bat I had that thing in my hand playing around with it and checking out it's different features. I have an older eTreks Legend (the serial type) that is definitely antiquated by today's standards, so having the Dakota in my hands was like having the best piece of candy in the candy store. The color touch screen was pretty cool if I do say so myself. This thing appeared to have everything that my old eTrek has and more. Right away I knew this was a pretty sweet unit. I walked around in the front yard with it, and saw that it kept pretty good tabs on my position. For the next couple of days, I had it with me in the car going back and forth to work seeing how well it tracked me and it did quite well. Of course I didn't have much doubt that it wouldn't. The real test would be during our camping/hiking trip when we would day hike during the weekend. To get ready for that trip, I downloaded MapSource from Garmin, and then downloaded some free topo and trail maps of the Frozen Head area for the unit. Kevin had sent me a link on where to get those and I was able to download them and then upload them into the unit rather easily. Previous to this, I had never used any of Garmin's software and was amazed at how easy it was to get what I needed. Additionally, there is the ability to create your own custom maps, but this is a more advanced function and something I didn't want to undertake at the time. All in all, I was very impressed with the intuitive ease of use of the unit. 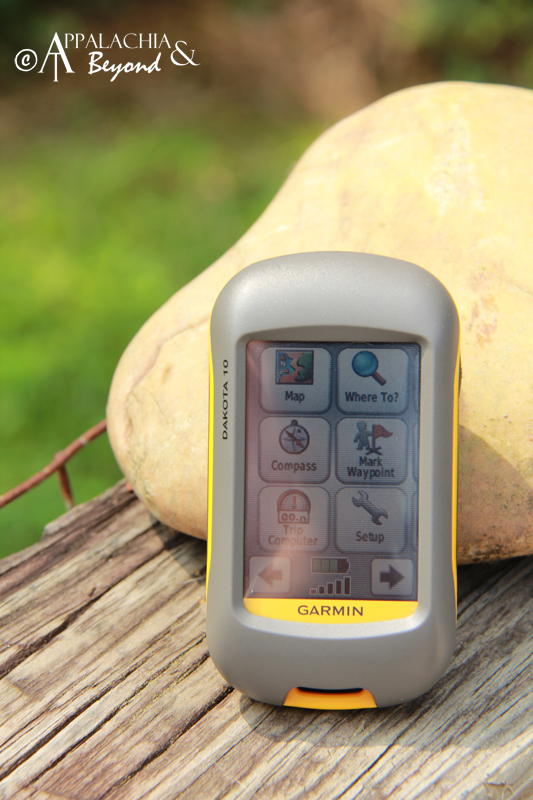 The color touch screen makes operation a breeze while on the trail. My only complaint is the small bit of difficulty I had with typing in waypoint descriptions, but I think that is more an issue with my finger size than with the unit. After all was said and done, uploading our hiking tracks from the GPS into MapSource and then into Trimble for Backpacker's "Be a Mapper" contest was a breeze. I won't make a final judgement in saying I want this unit as it's the only GPS unit I've used since my old eTrek, but is one I would definitely consider. Over the next few months I plan on reviewing more units to see which one I think is the best unit for our needs. P.S. Here are the specs for you gadget junkies out there. 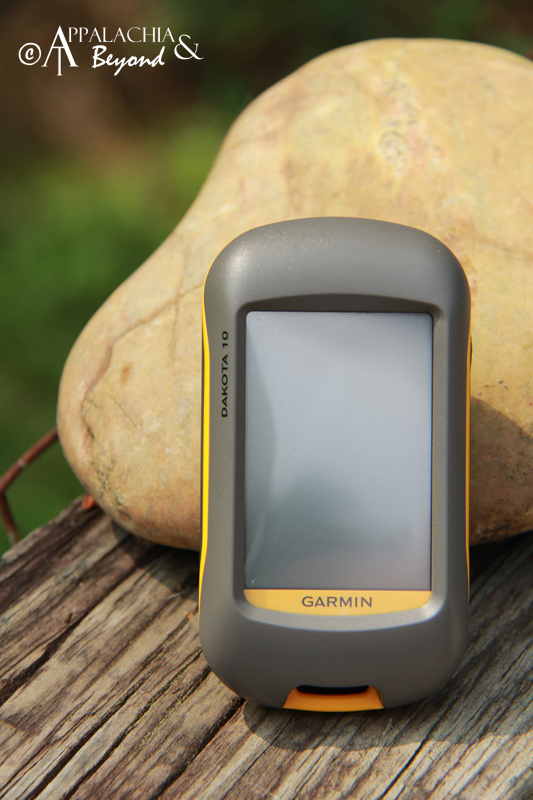 Disclaimer: Tim received the Garmin Dakota 10 GPS from Take A Hike GPS for review purposes only. Appalachia & Beyond are in no way affiliated with Take A Hike GPS or Garmin and are not being compensated by either for this review. The opinions expressed above are Tim's independent thoughts and experiences.